REB offers level filling systems for pressure or gravity applications with our Model ILS series, available in configurations of 2 to 12 filling spouts and can accommodate container sizes ranging from ounces to multiple gallons. The ILS series of level fillers can handle products ranging from thin foamy products to heavier products with viscosities similar to shampoo. These systems fill to a specified level in rigid containers and are accurate to +/- 1/16" in fill height. We offer a selection of pump configurations based on the type of products filled and the production rated required. A fully automated system supplied with a 10 foot, powered conveyor with programmable logic controller (PLC) and container sensors control the machine functions. The ILS-SA is supplied with the same frame, product contact system and conveyor as the automatic model. 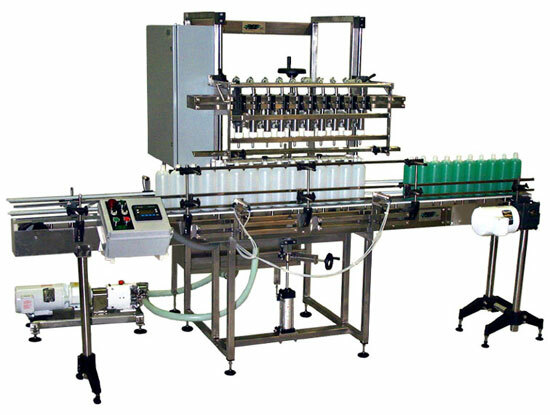 This filling system is operator controlled and all the functions, including the nozzle spout bar movement and container indexing, are controlled by manual switches and levers. 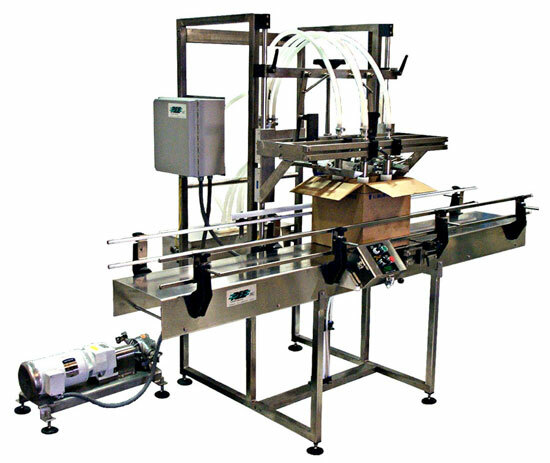 The ILS-M is a completely manual filling system with a container slide track instead of a power conveyor. The containers must be pushed in and out of the fill zone manually. The operator controls the movement of the nozzle spout bar and operation of the pump via manual switches and levers. The system is used for low volume, pilot runs, or situations which do not justify a fully automated system.